Why you should hire a PR agency to help with your product launch. Find out wow “The Micro” became the hottest product on Kickstarter. If you haven’t heard of Crowdfunding, you need to give your noggin’ a rattle and stop living under a rock! Crowdfunding is one of the most exciting concepts to shake up the venture/angel investment industry. Many great products have come to fruition through crowdfunding, such as the Pebble, which is one of the smartest and coolest watches around, or the Oculus Rift, a virtual reality headset which just sold to Facebook for $2 Billion dollars! Crowdfunding is a great way for individuals or small companies to raise enough capital to get a product off the ground. New crowdfunding sites are popping up everyday such as Kickstarter, Indiegogo, Go Fund Me and more. As the concept of crowdfunding becomes mainstream, it is becoming harder for products to stand out in a sea of competing ideas. So how do you get your product to stand out on a crowdfunding website? The obvious answer to this question is to have a great idea! Unfortunately, great ideas don’t always get the attention they deserve. That is why one company turned to a PR agency to launch their new product. 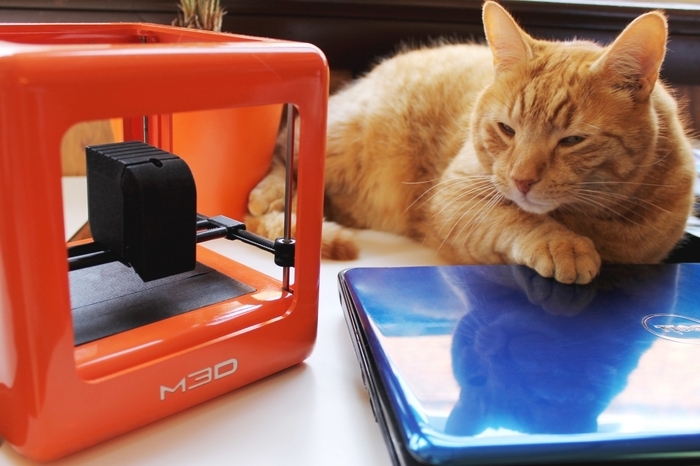 The Micro is a 3D printer built for consumers. One month prior to the product’s launch on Kickstarter, the team behind The Micro hired Dynamo PR to handle all of their marketing and communications. Hiring a professional PR team was probably one of the best decisions they could have made. 11 minutes after the product launch, The Micro reached its funding goal of $50,000. Now, with 28 days to go, it has reached over $1.3 million dollars, with coverage appearing in Endgadget, The Verge, TechCrunch and more. At the time of this post, The Micro is the highest funded project on Kickstarter. When it comes to crowdfunding, the idea or product pitch is extremely important. The ROI of hiring a Public Relations Company to help perfect and craft the pitch are undeniable. The team at Dynamo PR were even smart enough to include a cat in the marketing material. Meeeow! Don't be the next public relations nightmare! The PR Studio can help you & your business connect and build lasting relationships with real people, while maintaining a professional appearance. A lot can be said by who you surround yourself with. Work with the best - PR professionals!